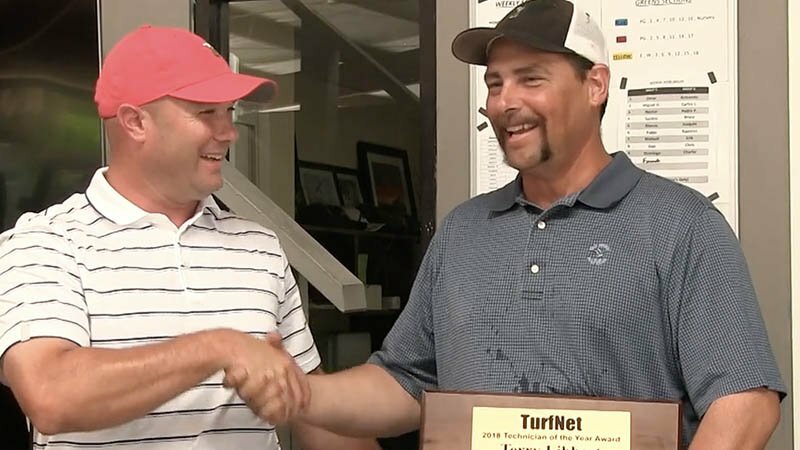 Old Marsh Golf Club superintendent Tony Nysse (left) congratulates 2018 TurfNet Technician of the Year Award winner Terry Libbert. When eventual 2018 TurfNet Technician of the Year Award winner Terry Libbert was nominated by not one but four superintendents for whom he had worked at Old Marsh Golf Club, our panel of judges figured he must be something pretty special. We weren't alone. Between the time Libbert was chosen by the judging panel as last year's winner and when he received the award, he had been lured away from the club in Palm Beach Gardens, Florida to work at Michael Jordan's Grove XXIII in nearby Hobe Sound. Thou shalt not covet thy neighbor's equipment manager is not one of the commandments of golf course maintenance. To the contrary; scouting, recruiting or luring away another club's top mechanic is common, illustrating the fact that great equipment managers are hard to find, much less keep. 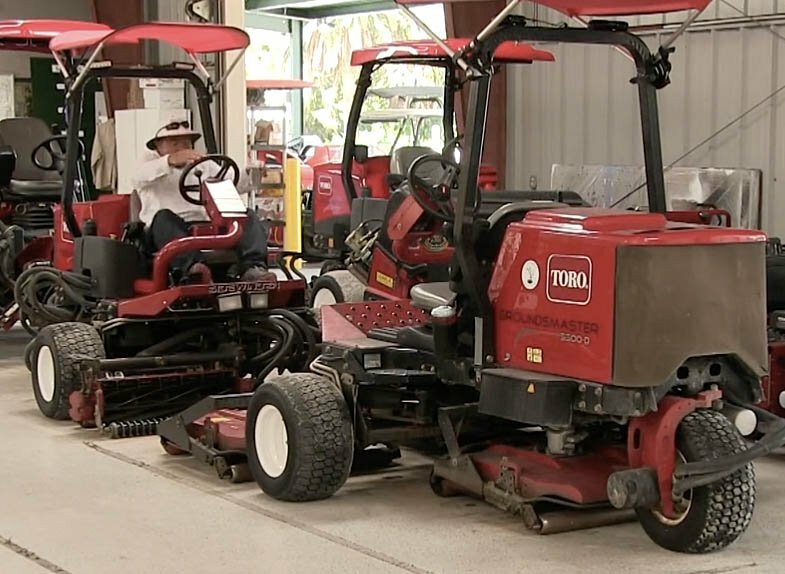 If you have an equipment manager you believe is among the best in the business, please nominate him, or her, for the 2019 TurfNet Technician of the Year Award, presented by Toro. Click here to nominate your equipment manager. Nominees are considered by our panel of judges on the following criteria: crisis management; effective budgeting; environmental awareness; helping to further and promote the careers of colleagues and employees; interpersonal communications; inventory management and cost control; overall condition and dependability of rolling stock; shop safety; and work ethic. Finalists will be profiled on TurfNet, and the winner will receive the Golden Wrench Award and a spot in an upcoming Toro Service Training University session at the company's headquarters in Bloomington, Minnesota. Previous winners include (2018) Terry Libbert, Old Marsh Golf Club, Palm Beach Gardens, FL; (2017) Tony Nunes, Chicago Golf Club, Wheaton, IL; (2016) Kris Bryan, Pikewood National Golf Club, Morgantown, WV; (2015) Robert Smith, Merion Golf Club, Ardmore, PA; (2014) Lee Medeiros, Timber Creek and Sierra Pines Golf Courses, Roseville, CA; (2013) Brian Sjögren, Corral de Tierra Country Club, Corral de Tierra, CA; (2012) Kevin Bauer, Prairie Bluff Golf Club, Crest Hill, IL; (2011) Jim Kilgallon, The Connecticut Golf Club, Easton, CT; (2010) Herb Berg, Oakmont (PA) Country Club; (2009) Doug Johnson, TPC at Las Colinas, Irving, TX; (2007) Jim Stuart, Stone Mountain (GA) Golf Club; (2006) Fred Peck, Fox Hollow and The Homestead, Lakewood, CO; (2005) Jesus Olivas, Heritage Highlands at Dove Mountain, Marana, AZ; (2004) Henry Heinz, Kalamazoo (MI) Country Club; (2003) Eric Kulaas, Marriott Vinoy Renaissance Resort, Sarasota, FL.